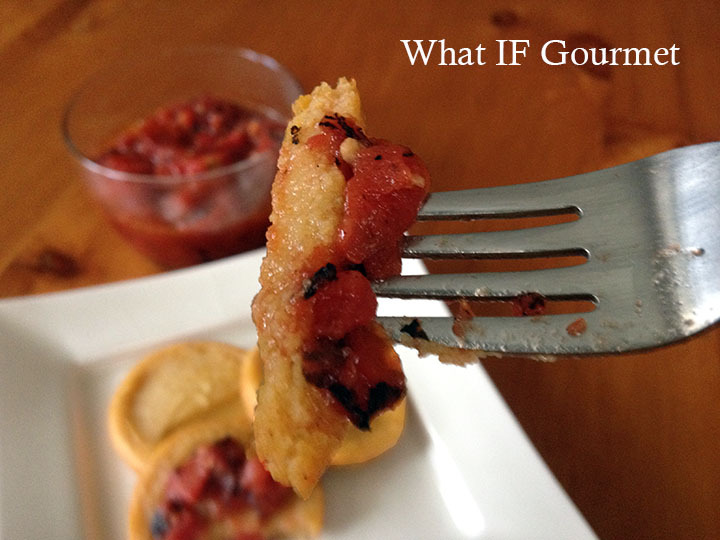 Mini farinata cups, seasoned with cumin and smoked paprika, and topped with roasted tomatoes and garlic. Farinata, made from a batter of seasoned chickpea flour and water and cooked in a generously oiled cast-iron skillet, has a texture somewhere between polenta and flatbread. In France and Italy, it is traditionally baked thin, until crisp at the edges, and then sliced up with random strokes and eaten piping hot like pizza. When I make farinata this traditional way, I have an unfortunate (albeit enjoyable) tendency to eat the whole thing at one go. So, sometimes it’s a good idea for me to bake it in muffin cups, the easier to portion them out. They are certainly best piping hot from the oven, but they are also pretty good when I take leftovers to work for lunch and eat them cold or reheated, especially topped with a stew. This recipe is my favorite, go-to flavor combination, warm with earthy cumin and smoky Spanish paprika. However, the true beauty of farinata is as a culinary blank slate for any flavorings that suit your mood. 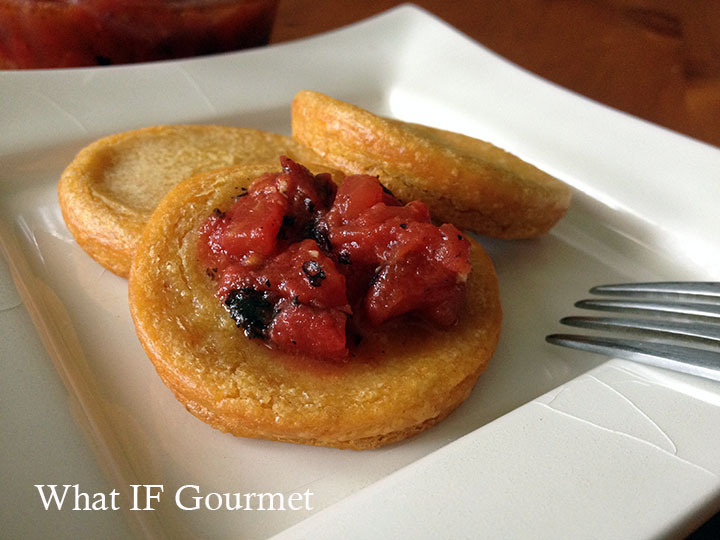 It’s delicious with curry powder, with dried or fresh herbs, with caramelized onions. Baking the farinata in individual cups rather than in one large, cast-iron pan doesn’t impact the flavor, but it does provide a convenient form for dressing up in new ways. I love topping a farinata cup with a poached egg, Eggs Benedict-style, but gluten free and more interesting (not to mention protein-packed) than the traditional English muffin. 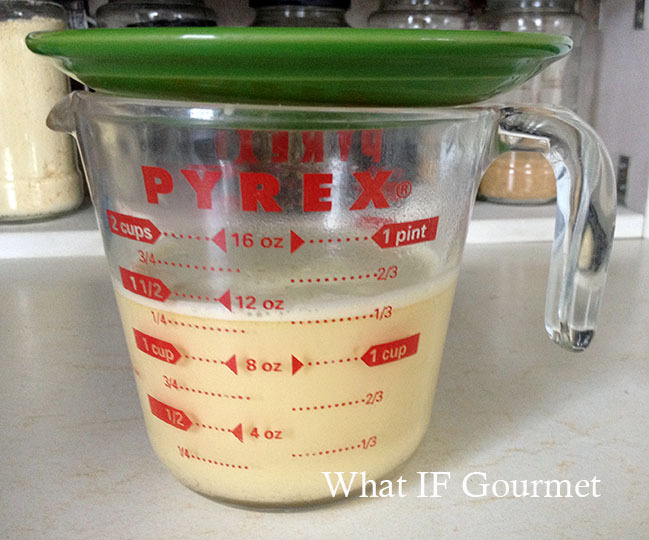 Alternatively, you can also bake an egg directly on top, partially steaming the farinata, giving it a pleasantly fluffy texture: Pour about 1/3 cup of the seasoned farinata batter into a hot, oiled 1-cup ramekin and bake for 5-6 minutes at 375 degrees, just until it starts to set at the edges. Pour an egg carefully on top, sprinkle with herbs or chopped scallions if desired, and bake for another 10 minutes or until egg has reached desired doneness. Gradually whisk the hot water into the chickpea flour bit by bit, working out any lumps along the way. Preheat the oven to 400 F. Put a 12-cup muffin tin in the oven as it preheats. Stir the salt and spices into the farinata batter. When the oven is ready, remove the hot muffin tin from the oven and immediately pour a small amount of oil — just enough to cover the bottom — into each of the muffin cups. Evenly divide the batter among the oiled muffin cups. Put the muffin tin back in the oven, and bake for 10 to 12 minutes. 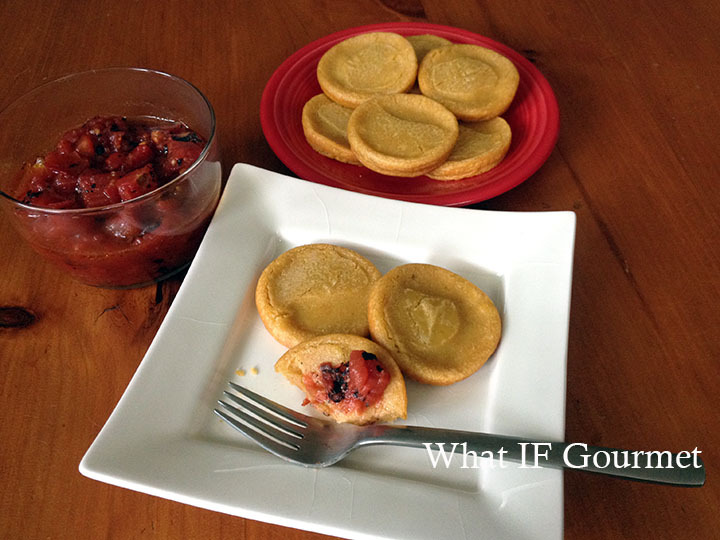 Remove mini farinata immediately from the muffin tin when done and serve hot. *Or about 1 tsp of another spice, herb, or seasoning blend of your choice. 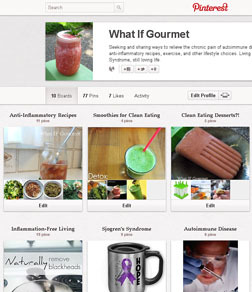 This entry was posted in alliums (garlic/onions), Anti-Inflammatory Ingredients, Appetizers, Breakfast, chile pepper, Dairy-free, Entrees, Gluten-free, herbs, legumes, monounsaturated oils, Nut-free, Recipes, Snacks, spices, Vegan, Vegetarian. Bookmark the permalink.